Sierra Club Florida received a call today from Governor Scott’s office relaying the news that he had exercised a line-item veto removing all funding for Florida Forever in the State Budget. Florida Forever is the state’s landmark environmental land acquisition program. These lands were proposed for acquisition because of outstanding natural resources, opportunities for natural resource-based recreation, or historical and archaeological resources. The program is also used to buy up development rights on land needed to protect endangered species. The Florida Legislature had approved $305 million for the Florida Forever program, most of which was projected to come from the sale of surplus lands. Governor Scott once reported to the press that he enjoyed hiking. Sierra Club suggested that the Governor needs to take more hikes and see these lands that Florida has acquired using funding from Florida Forever. Florida Forever and its predecessor, Preservation 2000, have protected more than 2.4 million acres of land. The land has many uses, from recreation to water quality preservation to protecting our military. Florida Forever has touched nearly every county in Florida and greatly improved our great state’s quality of life. For example, The Florida Trail is an endangered trail and there are significant gaps to be closed. Florida Forever was the single best source of funding for the closing the gaps. Since 2000, Florida funded acquisitions by the state or water management districts have resulted in approximately 74 miles of trail. With the slowdown in Florida’s real estate market comes a unique opportunity to acquire critically needed conservation lands, many of which would help close gaps in the Florida Trail — gaps which otherwise would become permanent when growth and development rebounds. HB 421 builds a loophole that allows owners of agricultural land to ready their lands for development without having to obtain permits from the water management district or to mitigate damage to wetlands. The bill extends the exemptions from regulation afforded agricultural property to land converted to other uses. Section 403.927 (1) F.S. states in part, “The Legislature recognizes the great value of farming and forestry to this state and that continued agricultural activity is compatible with wetlands protection.” However, the addition of two terms added to those constituting “agricultural activities”, specifically “leveling” and “fallowing”, are problematic. “Leveling” can obviously be used for both agricultural and development purposes. “Fallowing” (leaving land unseeded) can also be an agricultural practice when allowing the land to rest, or a non-agricultural practice when the land is merely left alone preparatory to conversion. This bill allows a land owner to level his land, destroying wetlands in the process, leave it unseeded, and avoid any responsibility to mitigate damage or to obtain a permit from the water management district as long as the land is not converted before four years elapse. The only other condition imposed on the land owner is that the adverse impact on wetlands not be the sole or predominant goal of the “agricultural practices.” Therefore, up to 50% of the purpose for destroying wetlands may be their destruction to accommodate future development, while the entity charged with protecting an important natural resource - wetlands, the water management district, is left without recourse. Further, the bill applies retrospectively to July 1, 1984 which would presumably allow A. Duda and Sons to recoup any losses resulting from their unsuccessful suit against the St. Johns Water Management District even though they broke the law at the time. While agricultural uses may be compatible with the protection of wetlands, this bill certainly is not. Wetlands provide eco-system services such as aquifer recharge, storm buffers, and nutrient filtration essential to the citizens, businesses, and industries of Florida. HB 421 provides its primary benefit only to those owners of land currently classified as agricultural who want to “cash out” by converting their land to a different use. These land owners should at least be willing to pay the costs borne by any other developer and to uphold the same responsibility for natural resources as other property owners. We urge you to exercise your authority to veto this bill in order to maintain checks and balances between the desires of individual property owners and the needs of the state, its regions, and communities for healthy eco-systems and the services they provide. In 2009, a large agricultural company filed suit5 against one of the WMDs in regard to the agricultural exemption in s. 373.406(2), F.S. The WMD alleged the defendant had constructed numerous drainage ditches on its property without first obtaining required permits from the district. The defendant claimed the construction fell under the exemption afforded through s. 373.406 (2), F.S., since the ditches were consistent with the practice of agricultural activities and not for the “…sole or predominant purpose of impounding or obstructing surface waters…” The court ruled in favor of the WMD, stating that the provisions in s. 403.927, F.S., virtually eliminate the agricultural exemption in s. 373.406(2), F.S., as it applies to alterations impacting wetlands. 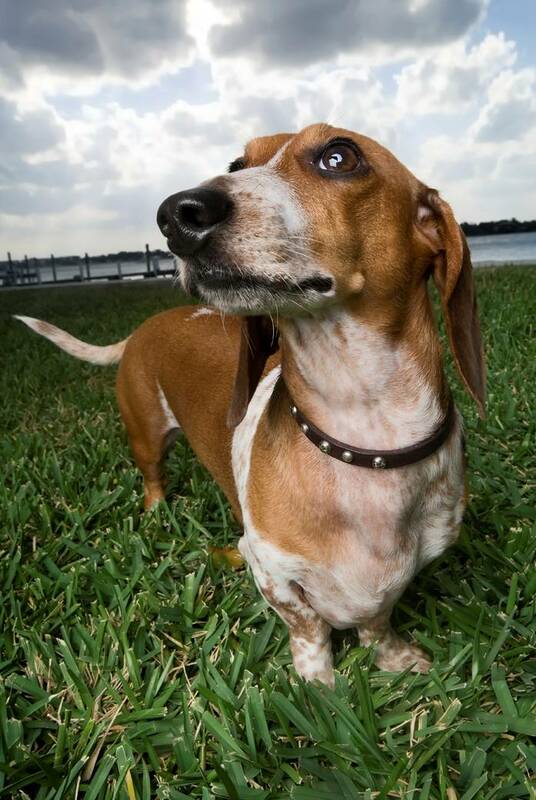 Manatee County adopts STRONG urban fertilizer ordinance! On May 24, Manatee County became the 36th local government in Florida to adopt a strict rainy season urban fertilizer application ban. The draft ordinance presented to the county commissioners was close to a mirror image of the Pinellas County ordinance passed in 2010 – the strongest urban fertilizer management ordinance in the state – and included the fertilizer sales restrictions found only in Pinellas County to date. · A ban on application of fertilizer containing Nitrogen and/or Phosphorous in the four rainy summer months – from June 1 through September 30. · A required fertilizer-free zone of at least 10 feet from waterbodies. · A yearly application limit for Nitrogen of 4 lb/1000ft2. · The required use of at least 50% slow release/controlled release Nitrogen products. 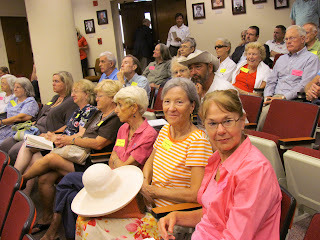 Over 40 proponents of strong fertilizer management, including home owner association representatives, environmentalists, green businesses, green landscapers, and concerned citizens filled the commission chambers – many wore the neon stickers that have become a staple of the Sierra Club’s presence at council and commission meetings all over the state. The usual opponent suspects were also present; Tru-Green, Scotts Miracle-Gro, Valley Crest and pest control industry representatives argued for the absolute minimum measures found in the FDEP Model Ordinance. The turf industry (Schroeder-Manatee Ranch) also chimed in and attempted, unsuccessfully, to gut the ordinance with a proposal to exempt all licensed applicators from the entire ordinance. The vote to adopt the strong ordinance was a particularly strange one. Three champions of strong urban fertilizer management on the Manatee Commission, Commissioners Joe McClash, John Chappie and Michael Gallen actually voted against the motion that resulted in the adoption of the ordinance; they refused to vote for the ordinance if it did not include the sales restriction enforcement component. Commissioner Carol Whitmore’s interest in strong fertilizer management began several years ago when she spearheaded the move to switch all county owned property to the fertilizer management practices found in the Sarasota County ordinance. However, the sales ban proved to be too much for her and Commissioners Larry Bustle, Donna Hayes and Robin DiSabatino. It was DiSabatino who offered the winning motion to adopt the draft ordinance minus the sales restrictions. After the vote, a unanimous verbal request was made to the county attorney to quickly bring a draft retail education (signage) ordinance to the board as an alternative enforcement measure. After the vote was over the process took another strange turn. Commissioner Hayes had repeatedly exclaimed her aversion to the sales ban and acceptance of the rest of the draft and voted for the modified ordinance. Nevertheless, at the tail end of the day’s hearings, Hayes requested a reconsideration of the vote, claiming she did not intend to vote for the rainy season application ban. The vote to reconsider failed thereby leaving the original adoption vote intact. The adopted modified draft is not yet available but the original draft ordinance and the support material can be accessed by clicking here. Please note that Sec. 2-35-12 (a-e) on page 12 of the original draft was excised before adoption. The City of Tampa, Charlotte County and Collier County are currently in the process of debating the adoption of their own 4-month rainy season application bans – if they follow the leadership provided by the other 36 local governments, the chain of strong fertilizer pollution control codes will cover the entire southwest Florida gulf coast. Did you know that Florida is the most dangerous state to walk to work in?1 According to a report released yesterday by Transportation for America, the four metro areas with the highest pedestrian fatality rates are all Floridian cities. The problem? Roads designed for cars and not people. This is something we can fix. Florida needs to take the lead in providing transportation choices that will keep our communities safer, healthier and break our addiction to oil. We need clean, green solutions like better mass transit and routes that promote safe walking and bicycling. Tell Governor Rick Scott and new Florida Department of Transportation Secretary Ananth Prasad that we should get to work and create a 21st century transportation system in Florida. We need infrastructure that provides transportation choices and allows us to break our addiction to oil. Our current transportation system is unsafe, unhealthy and unsustainable. As long as our state remains dependent upon oil and continues to build new, unnecessary highways, Floridians will continue to suffer from tailpipe pollution, lack of transportation choices, and increased prices at the pump. Cleaner and greener transportation choices mean less pollution, less congestion, and a better environment for all Floridians. Investing in a 21st century transportation system also creates more jobs than building roads that Florida doesn't need. Take action now and send a message to Governor Scott and Secretary Prasad! "Dangerous By Design 2011: Solving the Epidemic of Preventable Pedestrian Deaths" Transportation for America. Report released May 25, 2011. Tell President Obama to Clean Up Our Air, Send a Message Today! There is no doubt that smog is a nasty, pernicious pollutant -- but we have the technology and the opportunity to clean up our air -- the EPA is now considering a new smog standard that will better protect people's health. Send a quick message to the Obama Administration. Tell them to protect our health and stand up against air pollution! The Clean Air Act requires the EPA to periodically review the evidence and set air quality standards that will protect people's health. 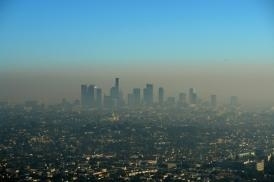 Based on the unanimous recommendation of the members of the Clean Air Scientific Advisory Committee, the EPA will likely set a new smog standard this July. But it's the same old story -- Big Coal, Big Oil and other polluting industries are pressuring the Obama Administration to delay setting a new standard or to issue a weak standard so that they can continue to pollute our air and make us sick. The American Petroleum Institute has been fighting the smog standards before the studies were even out. Polluters can roll out all the confusing charts, well-heeled lobbyists, and shiny ads they want. But it comes down to a simple question -- do you want clean air or not? Working together, we can beat back polluters and embolden the Obama Administration to protect the clean air Americans deserve. Take a minute to send a message to President Obama and let him know we all need clean air to breathe. Let President Obama know that you want him to set a new smog standard that will protect your health, send your message today! Thank you for all you do for our environment. P.S. -- After you take action, forward this message to your friends and family. "2011 American Lung Association State of the Air Report," Key Findings, ALA: 2011. "2011 American Lung Association State of the Air Report", Ozone Pollution, ALA: 2011. "Benefits and Costs of the Clean Air Act," EPA: April 12, 2011. Today the nation celebrates Endangered Species Day, recognizing the progress made in protecting some of our most iconic wildlife, like the bald eagle. Much of that progress is thanks to the Endangered Species Act which has served as a safety net for our country’s rarest plants and animals for more than three decades. Unfortunately this cornerstone conservation law is under attack. In a dangerous move away from science-based decision making, Congress recently approved a measure to remove gray wolves in the Northern Rockies from the Endangered Species list. Now Congress is primed and ready to dismantle the Endangered Species Act with new fervor. "Today our endangered wildlife are facing greater threats than ever before—from destructive energy development, to unsustainable logging, to a rapidly changing climate. Rising temperatures are affecting the habitats, migration routes, and food sources our wildlife need. It is our job to help wildlife adapt. The latest science tells us that the best way to help endangered animals is not simply to set aside protected areas for them, but also to connect and restore those places to create healthy natural communities. Healthy natural systems provide a wealth of benefits, including clean air and clean water, and are better able to adjust in a rapidly changing world. The Endangered Species Act and the protections it grants wildlife is a vital piece of this puzzle, helping to ensure the needed natural balance. Its power lies in sound, science-based management, free from political interference. Yet Congress is already making moves to further undermine the Endangered Species Act, holding hearings and introducing legislation to take wildlife management decisions out of the hands of scientists. These moves threaten the progress that we are celebrating today in bringing keystone animals back from the brink of extinction. The fate of our imperiled plants and animals should be based on science, not political whim. The long-term health and well-being of wildlife, our communities and our great outdoors depend on it. We will continue to fight to make sure that America’s wildlife don’t become just a memory." Enjoy Florida. It’s where you live now. Floridians know better than to fertilize during the summer. 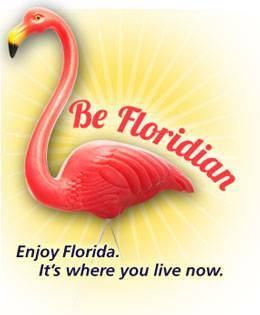 Be Floridian. Design your yard for the place you live now. The program was born of the need to take urban fertilizer management up a notch. Since 2007 when local governments began to pass strict urban fertilizer ordinances, it became apparent that the adoption of urban fertilizer ordinances is only the first step toward wise urban fertilizer management. Unfortunately, most retailers in the communities where strong ordinances have been adopted have not voluntarily expelled the non-compliant products (those which do not meet the 50% SRN requirement) from their shelves; in addition, nitrogen and phosphorous products remain on the shelves during the summer rainy season application ban period. Many clean clean water advocates have known for some time that a retail sales component would be the second step to take after a meaningful ordinance was in place. In 2010, at the recommendation of the Tampa Bay Estuary Program (TBEP), Pinellas County addressed the retail compliance problem by including restrictions on the sale of fertilizers to enforce the application, content and use portions of their ordinance. In addition, Pinellas County has worked closely with TBEP staff to create the Be Floridian program to go along with their ordinance. When you check out the website be sure to go to Yard 911- Emergency Help for Florida Yards – the advice they provide can turn your yard into a tool for preserving our Florida way of life. Jacksonville, FL -- For the first time in history, Jacksonville, Florida -- one of the places where minority voter suppression tainted the election of 2000 -- has elected an African-American mayor, Alvin Brown. Brown, who campaigned strongly on jobs, education, and downtown revitalization, was endorsed by the Sierra Club against a Tea Party opponent, Republican Mike Hogan. It's ironic that Brown was once an advisor to Vice President Al Gore, whose presidential victory was stolen in Florida -- indeed, in this very city. And Brown's victory on a campaign emphasizing better land use planning came after the state legislature voted to gut the state's previously bipartisan tradition of holding developers accountable. But Jacksonville is not the only place where voters are demonstrating that recently elected Tea Party ideologues got the wrong message from the 2010 election. There is, of course, next week's nail-biter special election in upstate New York for what ought to be a totally safe Republican seat, but where the proposed dismantling of Medicare in the House Republican budget has created a tie in current polls. Two days ago in New Hampshire, another safe Republican seat -- this one for the State House -- was swept by the Democrats in a protest against the extremist views of the Republican nominee. Earlier, Democrats picked up an Assembly seat in Wisconsin. In the heartland, back in April, Missouri voters were already overwhelmingly turning back efforts to eliminate special taxes which funded social services and environmental protection. Throughout the last month, the Republican congressional delegation from Missouri have acted as if getting rid of government services was the message they were hearing from their voters. Their learning curve seems a mite slow. It's one of the bromides of American politics that when a party or movement wins a big victory at the polls, it should try to "cash in" its mandate as quickly as possible, because said mandate will evaporate rather quickly. Instead, I think it's time to consider the idea that these mandates evaporate quickly precisely because the winners try to cash in too rashly, and inevitably overreach. Election winners fail to take the time to understand what the public really intended when they entered the polling place. For instance, whatever drove voters to elect the Gingrich Congress in 1994, it almost certainly wasn't the repeal of basic environmental and food safety standards. Then, when Gingrich went after those programs as part of the fine print in the Contract With America, he lost effective control of the Congress. When Bill Clinton, in his first inaugural address, proclaimed that he heard the message that the American people wanted "a revolution," he wasn't listening terribly well. He got better at it later. Maybe the next big election winner should try to use their first six months to do things that will make them more popular, not less. I'm afraid it's too late for the Tea Party. "The Deepwater Horizon disaster, which began with the explosion of the Macondo oil well on April 20, 2010, and resulted in the release of unprecedented volumes of crude oil, hydrocarbon gases, and chemical dispersants into the Gulf environment, has had dramatic impacts on natural resources and ecosystem services in and along the Gulf of Mexico. More than a year after it began, the disaster is far from over and Gulf Coast communities continue to suffer from adverse health impacts, threats to wildlife and the coastal and marine environment, and a damaged economy. Indeed, it is impossible even now to identify or to anticipate all of the short‐ and long‐term effects of the disaster, but unidentified impacts are no less real. Public health and environmental injuries that are not yet manifest may develop down the road. "Given the magnitude and extraordinary nature of the disaster, the undersigned environmental and community‐based organizations call on NOAA and all of the Trustees involved in the Natural Resource Damage Assessment (“NRDA”) to commit to basic principles and to take concrete steps to increase transparency and expand public engagement in the NRDA process; to hold BP and the other Responsible Parties (“RPs”) fully accountable for longterm injuries that are not yet known; to establish long‐term research and monitoring; to ensure that restoration efforts are based on science; and to take comprehensive and adaptive restoration actions that foster sustainability and are equitably distributed. These principles are critical to any effort to identify, select, and implement restoration projects to compensate Gulf Coast communities and the environment for the profound known and latent damage caused by the disaster." ATCHAFALAYA BASINKEEPER · BAYOU INTERFAITH SHARED COMMUNITY ORGANIZING · EARTHJUSTICE · EMERALD COASTKEEPER, INC. · GLOBAL GREEN · GUARDIANS OF THE GULF · GULF CHANGE · GULF ISLANDS CONSERVANCY, INC. · GULF RESTORATION NETWORK · GULF SAVER SOLUTIONS, RESTORE THE EARTH FOUNDATION, INC. · MOBILE BAYKEEPER · NATURAL RESOURCES DEFENSE COUNCIL · ON WINGS OF CARE, INC. · OXFAM AMERICA · SIERRA CLUB · THE SOLUTION TO POLLUTION PROJECT · SOUTHERN ENVIRONMENTAL LAW CENTER · SOUTH WALTON COMMUNITY COUNCIL, INC.
That statement serves as the opening of formal comments submitted yesterday (May 18, 2011) by the Sierra Club and Earthjustice on behalf of 20 local and national environmental and community groups to the National Oceanic and Atmospheric Administration (NOAA) in response to its notice of intent to begin scoping and draft a Programmatic Environmental Impact Statement for Gulf of Mexico restoration. It brilliantly captures the common sentiments of all Gulf advocates. The petition to the Department of Community Affairs filed by the Sierra Club and New Smyrna Beach resident Barbara Herrin asserts that Volusia County violated the state’s Growth Management Act and its own comprehensive plan by allowing development on a site not environmentally suitable. The previous administration had rejected the Farmton plan and had gone to the Florida Division of Administrative Hearings (DOAH) in September 2010 to stop the development plan changes. But Governor Rick Scott’s new growth management chief abruptly put the legal case on hold. Volusia County and the Miami Corporation, owner of the 47,000 acre tract, then crafted a deal with the state agency before the judge ruled. The entire property, mostly wetlands in a 100-year flood plain, is designated a Natural Resource Management Area. Farmton has been operated as a tree farm since the 1920s by the wealthy industrialist family, the Deerings. “There is still no plan for providing adequate water, sewage, solid waste disposal, roads, or schools for 50,000 new Volusia County residents,” said Macy LaHart, a Gainsville lawyer representing the Sierra Club. “The Farmton tract is just unsuitable for such an intensive, sprawling development." To read the Sierra Club's Petition for Administrative Hearing, click HERE. Today power plants burning coal to generate electricity are the largest source of toxic air emissions in the United States. Until now, we’ve had no national standard to protect us from toxic air pollution from these sources. This pollution contains mercury, arsenic, lead, dioxin and other heavy metals, and is linked to health problems such as developmental disabilities, birth defects, cancer, heart disease, brain damage, asthma attacks and even premature death. The U.S. Environmental Protection Agency is now in the process of issuing strong safety standards to substantially reduce the amount of these toxins allowed in smokestack emissions. In the case of mercury, fish that should now be avoided due to current high levels of mercury will become much safer in a relatively short time, as mercury levels are expected to decline rapidly once emissions are curbed. What fish is now safe to eat? You can find the answer by downloading our Safe Seafood Guide (PDF) to keep in your purse or wallet when dining out or at the grocery store. Send a comment to EPA. More on mercury: Learn more about the dangers of mercury and why it's important to be tested! Watch our segment on Good Morning America. Read Bryan Walsh's article in TIME Magazine: "How My Mercury Level Hit Double the Safety Limit"
Last week Sierra Club offered Tampa residents, mostly young women, the chance to have their hair tested to determine how much mercury is in their bodies. But why does anyone need to know such a thing? Mercury is a potent neurotoxin that accumulates in the body’s tissues over time. The most likely way we are exposed to mercury is through eating seafood that contains this toxin. While high levels of mercury can cause problems for people at any age, it’s an especially dangerous risk for women of childbearing age (16-45), as in pregnancy mercury can pass through a mother’s placenta and harm the baby. When the baby’s brain is developing in the womb, mercury impacts the child’s future ability to learn, remember, and pay attention. The best way for one to determine how much mercury is in one’s body is through laboratory testing of a hair sample, a diagnostic procedure that identifies if there is a potentially risky trace level of this toxin. Confidential test results will be mailed to these participants, providing medical information that can be used to consult with physicians in the case of tests showing a high level. We appreciate the volunteer service of Marcel Perets and Anita Arnette, experienced stylists, who took samples so that the clipped hair area would not show. Thanks to Original French Accent Hair Salon of Carrollwood for making this special event possible. The Sierra Club's national mercury hair-testing program has been a great success, with free testing events held in more than 30 cities in 20 states! If you’re interested in finding out how much toxic mercury is in your body, our partners at the University of Georgia Marine Extension Service are offering individual testing for only $20 per person. CLICK HERE for a brochure that you can use to submit your hair sample to the lab by mail, along with a $20 check. Results may take up to 8 weeks to process. For more on what you can do now to help eliminate 90% of the current threat of toxic mercury, watch for our next post: "Mercury: What You Can Do". If you’ve been reading the papers (and the alerts Sierra Club Florida has sent out) you know this was a tough session for the environment. But it could have been worse. Your input made a difference and we were able to hold off some bad legislation. We did comparatively well on water quality issues – at least we held off some bad bills. We were unsuccessful in advancing anything in the way of renewable energy. And we suffered very bad losses on the growth management bill and on HB 993 which affects the burden of proof. Our greatest successes were turning the Urban Turf Fertilizer Preemption bill into a bill that allowed localities to continue to adopt and enforce more stringent ordinances than those in the state-wide “Model Ordinance.” The bill preempts sales bans in the future but grandfathered Pinellas County’s, the only one in the state. This bill, HB 457 by Rep. Clay Ingram passed the full House but will not become law because its companion legislation (SB 606 by Sen. Evers) did not make it through its committees. Sierra Club thanks Rep. Ingram for his willingness to work with all of the stakeholders – environmentalists, cities and counties, the garden club and officials and legislators from counties with their own ordinances. Everyone working together made the eventual achievement possible: a bill that allows local governments to protect both their water and their pocketbooks. Source control is a lot cheaper than getting nutrients out of the water to meet federal Clean Water Act responsibilities. When asked to give Earth Day presentations to grade school classes at Atwater Elementary in North Port, I had no problem deciding on the best topic. It was dog poop. I thought that dog poop would be just the thing to grab the kids’ attention and boy was I right. The title of the slide show “Who wants to swim in dog poop?” was on the screen as each class entered the room and it evoked the yucks, ews and grosses I was expecting and made them anxious to know what came next. After the shock of the title we talked about how they enjoy the beach, boating and fishing and then each child named their favorite sea creature. We then moved on to pollution, in general what it is and what it does and then jumped to the water pollution that kills the kind of sea creatures we had identified; I showed them photos of sea turtles and fish killed by harmful algae. It made the kids sad, but the next slides were about dog poop and again, laughs were produced. It was easy to show them how dog poop that remains on lawns gets washed away with stormwater into street drains and ends up in creeks, lakes and bays and when they realized that they do swim in dog poop when they go to the beach the yucks and grosses were even more pronounced. The thing is, many kids, even kindergarteners and first graders, are in charge of taking their dogs out. Finding things kids themselves can control when it comes to pollution prevention is especially helpful and picking up dog poop and putting it in the garbage is something kids can do. My goal was to make them feel responsible for the problem and then act responsibly to combat the problem. Some kids told me their dads told them to pick up the dog poop and then throw it in the bushes or in another yard – they were tasked with teaching their parents why throwing the poop afield is not the answer. I used some dog tag data to illustrate how much dog poop gets laid down on Sarasota County lawns every day – it came out to the weight of 636 first graders. That really impacted the kids and the teachers; it was very appealing to think that the kids could have a hand in keeping that much pollution out of the water. Sierra Club Sr. Field Organizer Jonathan Ullman, Miami and Sierra Club Conservation Organizer Marti Daltry, Ft. Myers are proud to announce the launch of their latest campaign, Go 60 MPG. The primary goal of this campaign is to convince the Obama administration to cut America’s oil dependence and reduce carbon pollution by raising fuel efficiency for cars and light trucks to at least 60 miles per gallon by 2025. Our dependence on oil puts our environment, economy and national security at risk. We can take an important step towards breaking that dependence by putting technology and innovation to work to make all new vehicles, from sedans to pickups to SUVs, more fuel efficient and less polluting. 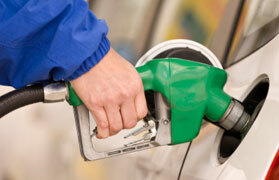 The Obama administration needs to raise fuel efficiency standards to an average of 60 miles per gallon by 2025. That way, all Americans can drive vehicles that save money at the gas pump, curb carbon pollution, and cut our country’s oil dependence. The Sierra Club Foundation and Environment America Research and Policy Center are working in conjunction on this campaign in eight “clean cars” states and states that are politically important to President Obama. Today, Environment America has released a timely report, “Summer Gas Prices: Beating the Heat with Clean Cars.” Read it here at: http://bit.ly/iqHDfz. The summer travel season is the most popular time of the year for driving but it is also the time when Americans feel the most economic pain at the gas pump. Due to Florida’s large travel volume and high gas prices, the Sunshine State would see a savings of over $4 billion dollars at the gas pump if our cars met a 60 mpg standard. Per household, the average Florida family would save $469 over the summer months! To break our dependence on oil, reduce our global warming pollution and save money at the pump, we need strong public support for aggressive fuel standards for new cars and trucks. We need volunteers state-wide to help build up support for strong fuel efficiency standards. Instead of complaining about rising gas prices, let’s be proactive in reducing our dependence to oil and lowering gas prices. To find out how you can help, please contact Jonathan Ullman, jonathan.ullman@sierraclub.org; 305-860-9888 or Marti Daltry, marti.daltry@sierraclub.org, 239-313-7202.